Vesta Corporation is the global leader of guaranteed payment solutions for enterprise partners in the telecommunications, media, financial, and digital sectors. The company’s patented fraud protection technology is proven to increase conversion and acceptance while eliminating fraudulent transactions and merchant liability. Vesta has been recognized as a leading innovator in payments technologies, holds multiple patents, and has won numerous awards as one of America’s fastest growing companies. 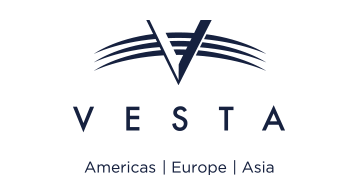 Founded in 1995 and headquartered in Atlanta, Vesta’s operations span the Americas, Europe and Asia. For more information, visit trustvesta.com.